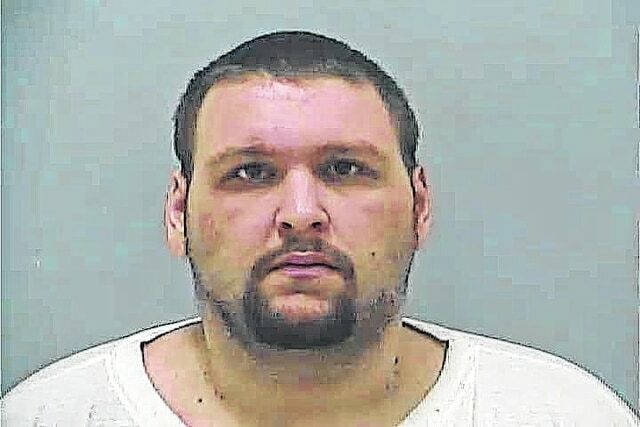 The final man accused of being one of the leaders of an organized theft ring across nine Ohio counties has been arrested and appeared in Delaware County Common Pleas Court Wednesday. Jordon Emmons, 24, of Marion, entered a not-guilty pleas to one charge of engaging in a pattern of corrupt activity, a first-degree felony, and money laundering, a third-degree felony; and three counts of theft, fifth-degree felonies. Emmons was taken back to the Multi-County Corrections Center in Marion where he was being held on other two separate cases involving charges of theft and receiving stolen property. He was scheduled for trial on Dec. 15. Assistant prosecuting attorney Douglas Dumolt said that Jordan Emmons, along with his mother, Wendy Sue Emmons, 46, and his brother, Justin Emmons, 26, also of Marion, would recruit friends or girlfriends, get them addicted to heroin and force them to steal to support their drug habits. Prosecutors said the organization is responsible for at least 168 thefts across nine counties and said that Justin Emmons himself participated in at least three dozen. Dumolt said the organization would steal small but valuable items, like bags of candy, fishing lures or batteries, and take them back to Wendy Emmons, who would in turn sell them to Phillip Roger Burkholder, 82, of Forest, Ohio, who would then sell the stolen goods at auction. Prosecutors allege the ring is responsible for stealing between $100,000 and $250,000 worth of goods. The alleged fence, Burkholder, was arraigned Sept. 30 and entered a not-guilty plea to a charge of engaging in a pattern of corrupt activity, a first-degree felony, and three counts of money laundering, third-degree felonies. Krueger released Burkholder on a personal recognizance bond after prosecutors said they did not consider him a flight risk. Justin Emmons, one of the alleged leaders of the organization has pleaded not guilty to charges of engaging in a pattern of corrupt activity, a first-degree felony, and money laundering, a third-degree felony; and six counts of theft, fifth-degree felonies. Additionally, Wendy Emmons, currently residing in the Ohio Reformatory for Women, faces a charge of engaging in a pattern of corrupt activity, a first-degree felony, and money laundering, a third-degree felony; and four counts of theft, fifth-degree felonies. She entered a not-guilty plea at her arraignment on Oct. 7. The other individuals involved in the ring who have been arraigned are: Stevie R. Henry, 25, of Marion, Brittany Chafin, 24, of Columbus, and Sasha Steele, 24, of Marion, all of whom prosecutors say were thieves in the organization; and Michael Jenkins, 32, of Marion, another alleged thief. Henry, Steele and Chafin entered a not-guilty plea to a charge of engaging in a pattern of corrupt activity, a first-degree felony, and money laundering, a third-degree felony; and two counts of theft, fifth-degree felonies. Jenkins entered a not-guilty plea to a charge of engaging in a pattern of corrupt activity, a first-degree felony, and money laundering, a third-degree felony; and four counts of theft, fifth-degree felonies. Jenkins was released after posting a $7,500 bond and Henry was released on a personal recognizance bond so she can continue to receive treatment for heroin addiction. Chafin’s bond was set at $7,500 and Steele’s bond was set at $10,000. Chafin has since posted bond and Steele was in the Delaware County Jail Thursday afternoon. The members of the theft ring have all been scheduled for trial on Dec. 15. Glenn Battishill reached at 740-413-0903 or on Twitter @BattishillDG.